Stan Collymore has urged Liverpool to sign veteran Italian keeper Gianluigi Buffon this summer, as he suggests a new No.1 would be one of the final pieces of the Anfield jigsaw for Reds boss Jurgen Klopp. Keepers Simon Mignolet and Loris Karius have been drafted in and out of the Liverpool team over the course of this season, with the club’s former striker now suggesting the legendary 40-year-old Italian stopper could be a surprise answer to Klopp’s keeper woes. 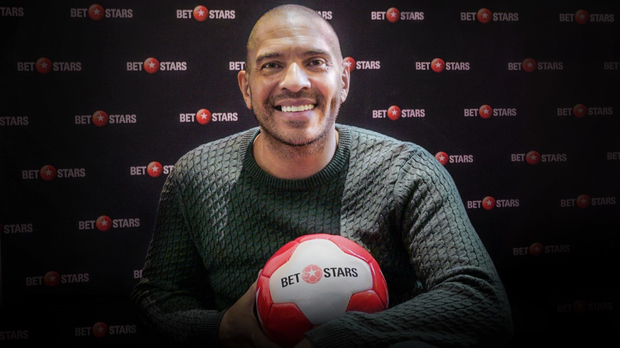 "What Liverpool need now is a top quality goalkeeper," Collymore told BetStars. "When people say what type of goalkeeper, whether young or old, I would say go for one with experience. "I know Petr Cech and Joe Hart may be just beyond that period to go somewhere like Liverpool, but a goalkeeper is usually at their best around the age of thirty or beyond. A player like Petr Cech or Joe Hart, who has won the Premier League, can bring that experience into the dressing room. "It’s a position that Jurgen Klopp needs to address and I think that Loris Karius and Simon Mignolet aren’t quite up to Liverpool standard, so I would expect them to be shopping in the summertime for an experienced, top quality goalkeeper. "Gigi Buffon is talking about retiring at the end of the season. Why not go and make him a megabucks offer? An incredible presence, an incredible footballing icon, to walk into another great football club from Juventus and say right I’m going to have two years here, I’m going to help bring through the next goalkeeping prodigy at Liverpool, and I’m going to help them win the title, what a fitting end to a great career that would be." Collymore went on to suggest several members of the Liverpool team he was a part of in the mid-1990s would get into Klopp’s current line-up, after a season when goals have flowed for their front three of Sadio Mane, Roberto Firmino and Mohamed Salah. "Steve McManaman, John Barnes, Robbie Fowler and Ian Rush would make it into the current Liverpool side all day long," he added. "Robbie Fowler and I scored 102 goals between us (for Liverpool). Roberto Firmino and Mo Salah are heading towards that but they aren’t technically a strike partnership. I think the Liverpool of today are like the Liverpool of that vintage, exceptional going forward but not so good defending. "I hope Jurgen Klopp learns from our mistakes and realises that to win a title you need to defend well, something that Liverpool don’t always do." Stan Collymore was speaking on behalf of online betting site BetStars.